An undercover cop tries to disrupt a drug ring while fighting his superiors and a burgeoning drug addiction. After initially delivering the classic "Infernal Affairs" trilogy, the writers of that series, Felix Chong and Alan Mak, are back in the genre once again with another stellar undercover thriller. 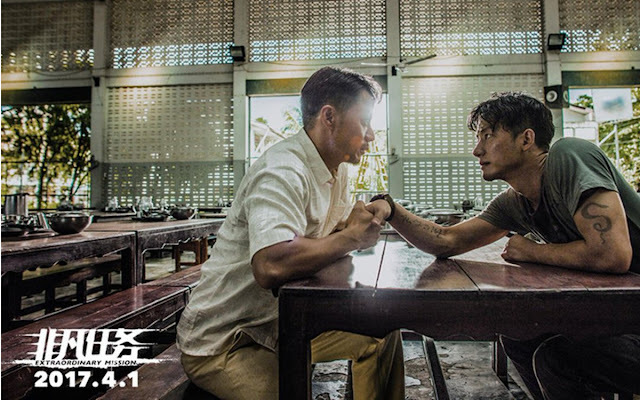 While Chong stays on as a writer, Mak has moved into the director's chair alongside cinematographer Anthony Pun, which now moves the film away from the subdued drama-like leanings and instead finds itself charging headfirst into classic Hong Kong action cinema. Still on edge following his mother's death, determined cop Liu Haojun (Xuan Huang from "The Great Wall" and "The Golden Era") is struggling to stay undercover in a high-level drug-smuggling ring owned and operated by master-criminal Cheng Yi (Xing Jiadong from "1911" and "Soldiers and Their Commanders"). Known as Lin Kai to the rest of the gang, his efforts to bring the gang down from within, continually cause the group to bring him deeper into their organization where he meets up with the Thailand side of their organization run by Eagle (Duan Yihong from "Drifters" and "The Message") who sees through the charade. With his cover blown and now addicted to the drugs he's trying to stop, he sets out on a final mission to bring down the criminal gang once and for all. Frankly, there's not a whole lot wrong here. The film's biggest issue is it's overly simplistic and nonsensical story. The ability to constantly pull these actions off leaves the film feeling more like a series of coincidences rather than a logical motive. Essentially, everything boils down to Haojun having fake identity cards which is what allows him to gain the trust of the group and raise his status, yet no one checks up on him or does any kind of follow-up to the new guy coming in. How he manages to stay undercover while still arranging meetings with his handler, supplying manufacturing and shipping details or always getting away from police ambushes with every situation being too easy to escape, just undermine the story. Coming from their history, this is a real weak spot. Likewise, the acting here is rather unremarkable. Lead tends to go through the motions with the same sullen, blank expression that never changes, even under torture or drug abuse. A large part of this low-life persona is just to chain-smoke or beat the defenseless, which is not that impressive. He tends to make for a really unappealing hero, although he does handle the action scenes nicely and seems comfortable in a gun-fight or on wires during the kung-fu scenes. None of the regular henchmen amount to anything, either, and it's really only the main bosses that figure into this equation. The Chinese head, Jiadong, comes off like a regular businessman in sheep's clothing, who's obviously up to no good but is too refined to do anything about it. However, it's Yihong as the Thai leader Eagle who steals the show. From his philanthropic dealings to the quiet leadership he expresses at the compound, he's domineering and easily overshadows everyone else in this one. However, none of that matters once this turns into a full-on action film. 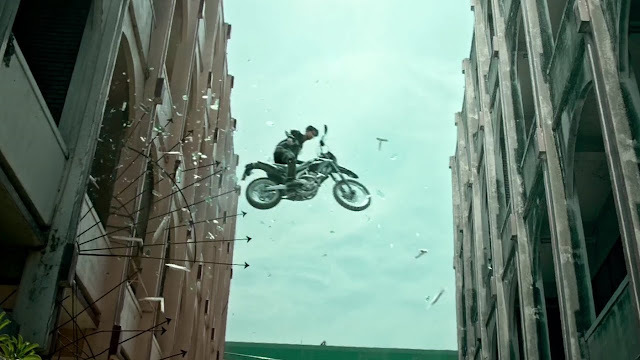 These scenes are wholly enjoyable, with the thrilling close-quarter segments by action director Li Chung Chi really delivering some intense and frantic scenes. With the final half-hour being a full-on display of gun-battles on city streets as well as out in the countryside, being up-close with the action gives it a special added flavor. The multitude of motorcycle stunts and a few stellar car crashes get thrown in as well, allowing this with a high-energy final half that comes off really well following the earlier scenes. That the action in the first half is more dependent on car chases and shootouts all balances this one rather nicely, and, overall, makes it quite a bit of fun. All in all, this is quite a curious affair. The familiar storyline is handled rather sloppily and doesn't really excite much, yet it's all necessary to get to the more explosive action scenes in the final half that are really good. It's certainly worth a look for those interested in more from the duo or enjoy the more explosion-happy action films, while those wanting a follow-up to the intensity of their first project should heed caution.